We are all empowered to make a positive difference to our community and the environment we live in. By donating your pre-loved items to Diabetes Victoria, you are choosing a sustainable Victoria. Diabetes Victoria would not be able to support those living in our community with diabetes if it was not for the generosity of businesses and individuals. Each time you donate your pre-loved, unwanted clothing and small household items, you are making a positive contribution to your community. Each donation you make brings Diabetes Victoria that much closer to finding a cure for diabetes. CLEAR - your unwanted, household items (clean and in in good condition). CLICK - Simply fill in this form and select a suitable pickup date, provide details on the items being donated, then click submit. COLLECT - Please allow at least 3 business days for your donations to be collected. Same day collections are currently unavailable. 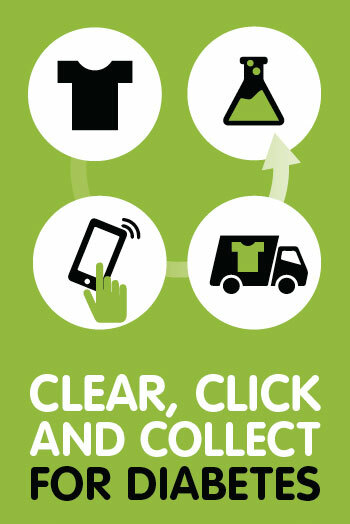 On pickup day, simply leave your donated goods at the front door – and we will do the rest. We do not collect the following items (PDF) including large furniture items, white goods or mattresses. Large items of furniture can be dropped off directly at Savers stores. See list of stores in menu below. Please note, in order to select a suitable collection date, an address must be entered. Call us on 1300 256 844 Monday to Friday between 8.30am and 5pm, and one of our helpline staff can arrange a collection for you. Please allow at least 3 business days for your donations to be collected. Same day collections are currently unavailable. We do not collect the following items (PDF) including large furniture items, white goods or mattresses. Large items of furniture can be dropped off directly at Savers stores, see list of stores in menu below. All donations made to the following Savers stores helps Diabetes Victoria to fund vital diabetes research. Your donations also allow us to contnue to Support, Empower and Campaign for all Victorias affected by, or at risk of, diabetes. The Diabetes Victoria Collection Business has been in operation for over 20 years. Diabetes Victoria is one of the main charities that supplies all Savers stores in Victoria. 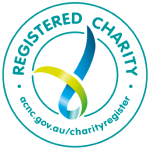 The partnership has allowed Diabetes Victoria to generate revenue from the on sale of all donated clothing and also gives us the opportunity to recycle your donations and save them from ending up in landfill. We do not collect the following items (PDF) including large furniture items, white goods or mattresses. Large items of furniture can be dropped off directly at Savers stores. Please see locations in the menu above.